CLEARFIL SE Protect is a self-etching primer/light-cured bonding system. 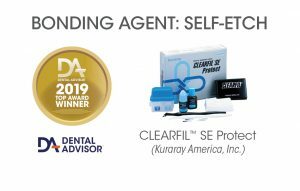 CLEARFIL SE Protect contains the same proprietary technology and physical properties as CLEARFIL SE BOND with two additional features: long-term fluoride release and the MDPB monomer with an antibacterial, cavity cleansing effect. The introductory kit of CLEARFIL SE Protect includes 6 ml of primer, 5 ml of bond, a dispensing case, and accessories. Thirteen editors, seven of whom had previously used CLEARFIL SE BOND, evaluated CLEARFIL SE Protect over a six-week period. This product received a 98% clinical rating. 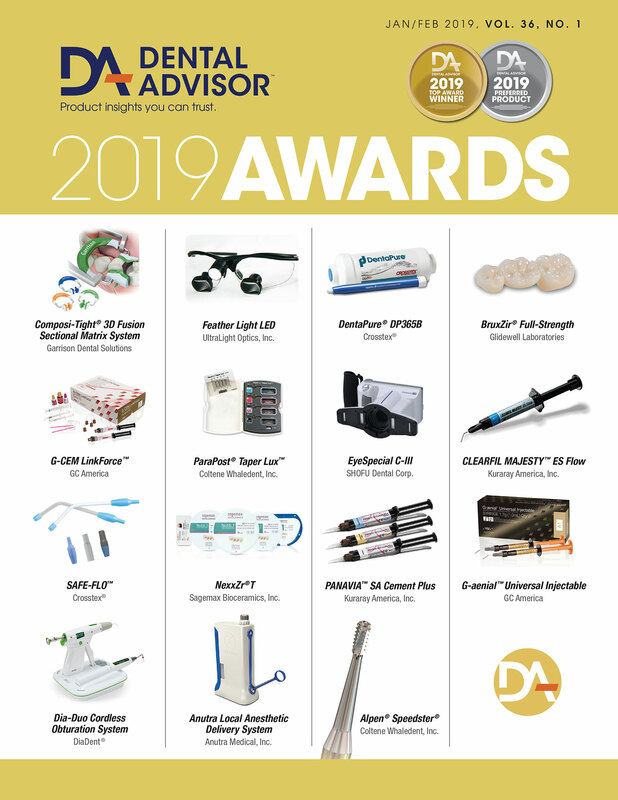 Thirteen consultants and editors of THE DENTAL ADVISOR clinically evaluated CLEARFIL SE Protect over a six-week period. Over 150 restorations were placed. The laminated flow chart is well illustrated with clear directions for clinical use. Application and curing times are printed on the dispensing case as an at-a-glance reminder. The simple system includes a convenient storage and dispensing container that keeps the two bottles together. A dispensing dish, light shield and application brushes are also included. The storage and dispensing system is convenient. The flow of the primer and bond is easily controlled; however, firm pressure is often required to express the bond when little remains in the bottle. The primer and bond wet the tooth evenly. The low-viscosity primer flows readily under gentle air pressure while the more viscous bond may require extended use of air. No post-operative sensitivity was reported during the six-week evaluation period. Consultants found CLEARFIL SE Protect effective in the reduction of sensitivity when placed on areas of recession or similar areas of sensitive tooth structure. CLEARFIL SE Protect bonds to metal matrix bands, making the bands more difficult to remove than other self-etching bonding systems. Consultants used hemostats and firm pressure to assist in removing matrix bands. Preventing pooling of adhesive against the band was also helpful. CLEARFIL SE PROTECT was originaly evaluated by THE DENTAL ADVISOR under the name Clearfil PROTECT BOND in Vol. 21, No. 8, October 2004.